The page menu is the main menu that will appear at the top of your app that contains a link to each of the Start Pages in your app. It will stay visible regardless of which page is being viewed. With users activated in your app, you can control exactly which pages appear and can be accessed in the page menu based on a user's role. The Page Menu is the menu that will appear at the top of your app. The menu will contain a link to each one of your start pages. 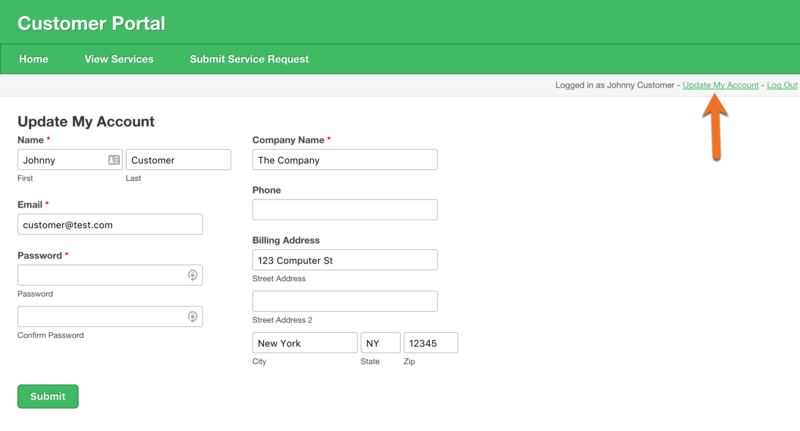 In our example, the Customers and Tasks tabs represent separate pages in the app. The menu will remain visible regardless of which page is being viewed. Click here to learn more about Page Menus. You can set the page menu so that the tabs will show based on your user roles. This will restrict which tabs appear for each user. They will also see tabs for any pages that are not protected with a login. For example, let’s say you have one entry page that only Admin user roles can access and another page that only Editor user roles can access. When an Editor user logs in they will only be able to see a link to that Editor page (since they share a user role). They won’t see the link to the Admin page. Like the Page Menu, you can also restrict dropdown menu options based on a user's user role. This way, users only see the page menu options that are relevant to their role and don't have access to the pages that are not. 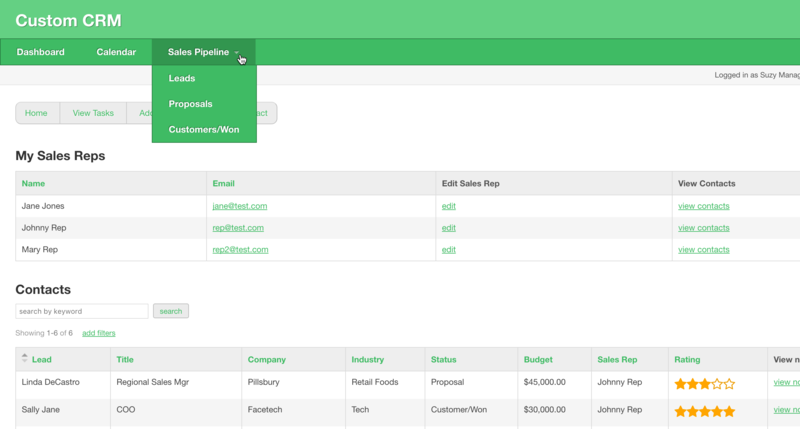 Click here for more information on adding and editing Dropdown Menus in your app. 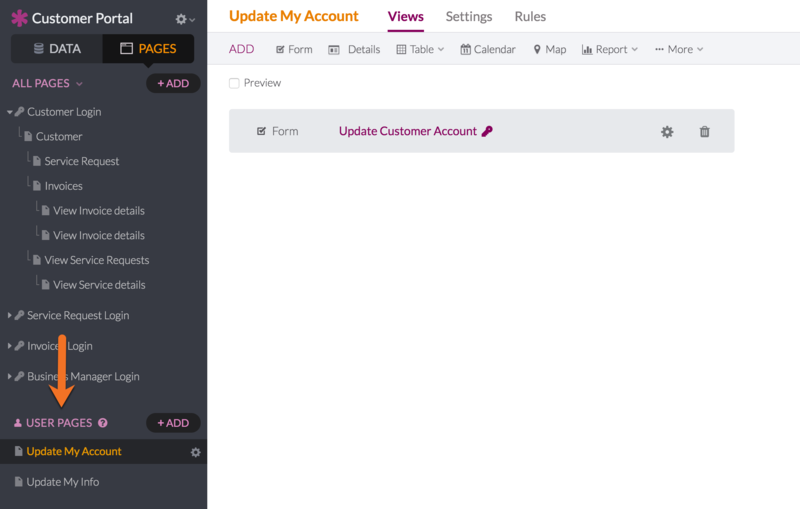 In addition to restricting pages based on user role, you can also add User Pages to your app that can be used to handle administrative user tasks. For example, they can be used to display a logged-in user’s membership information or provide a form for updating account information. User pages are only available after users are activated in your app. Views can be added and edited to user pages so that you can configure exactly what the user will see when accessing the page. Click here to learn more about User Pages.